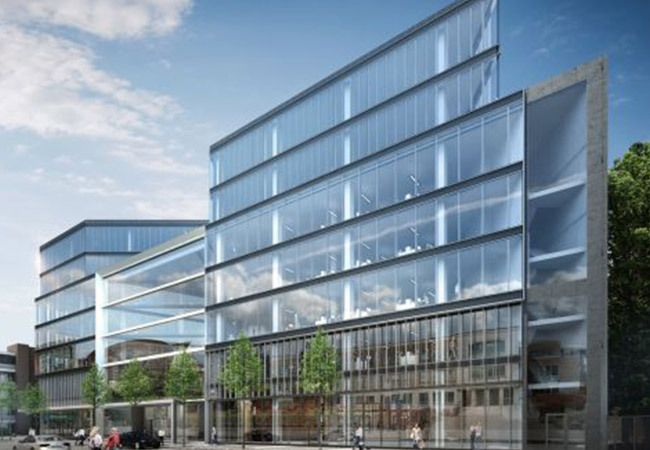 The all glass façade will be manufactured from Schuco UCC 65 SG unitised curtain walling system, which will incorporate high performance triple glaze units offering extremely low U values, all of which will be fully factory assembled in our works in Clondalkin. 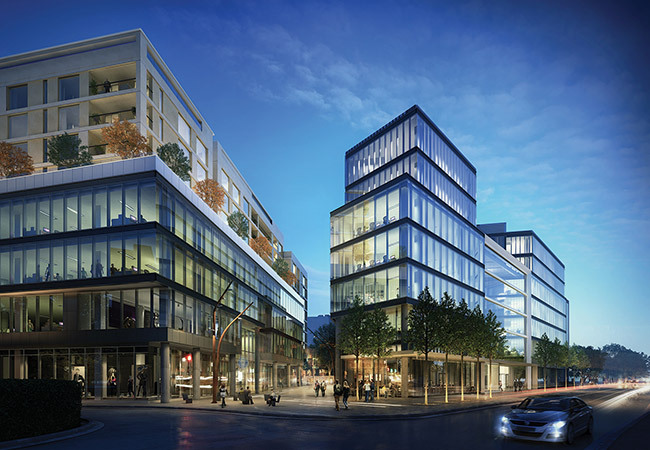 The upper floors will be constructed from the Schuco FW 60+ SG system with a customised design profile, incorporating 3 ply glass laminated fins, which will act as the structural member to resist all positive and negative loads applied to the glass façade. 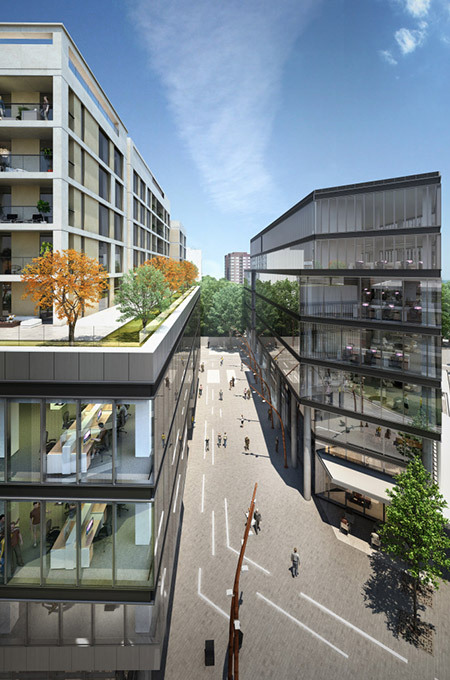 A large glass atrium will be constructed with a suspended steel and glazed assembly, and all ground floor glazing will be constructed from large format insulated glass units with the RAICO toggle SG system.